Rihanna is a shooting star in the fashion world, and her NYFW shindig proved she is the straw that stirs the drink. 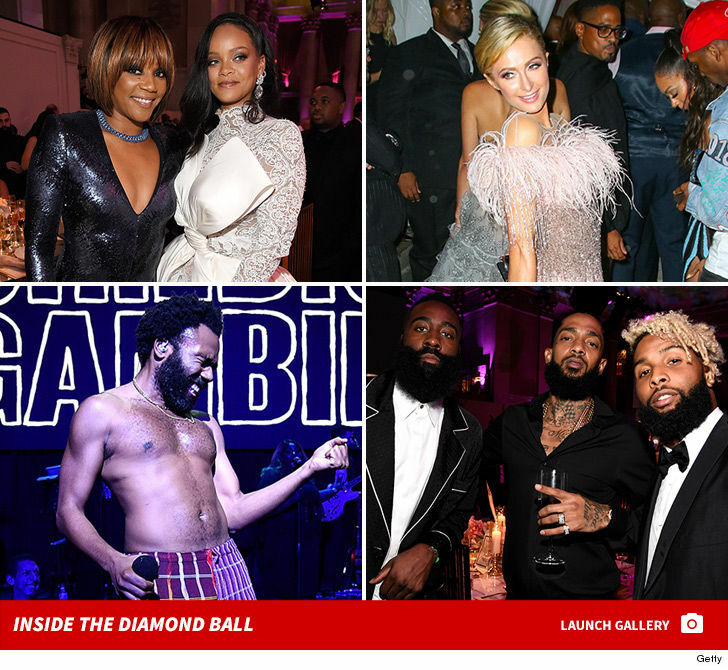 RiRi threw her 4th annual Diamond Ball bash Thursday night at Cipriani Wall Street and TONS of celebs came out in droves. It’s a special event for her — it’s benefiting her Clara Lionel Foundation, which helps impoverished communities around the world. No word if anyone went into labor at this event.